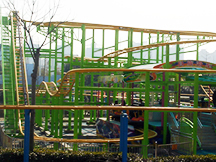 dragon slide, amusement equipment design as the dragon, driven by two transmission department before and after the whole train, running along the two spiral rail, sometimes hovering, sometimes falling sharply, full of entertaining and irritating, Popular between old and young . 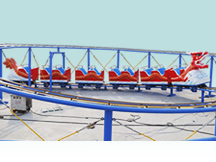 In the process of taking bring tourists novelty, happy feeling. 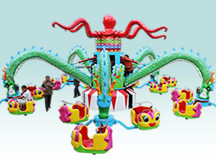 Elegant dragon shape and decoration with ethnic characteristics, increasing the interest of visitors, a loved amusement ride,just like a mini roller coaster for kids. 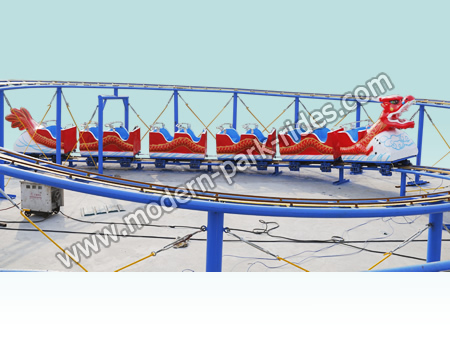 Dragon Slide's visitors sit in the cockpit, by the sharp speed sliding, Dragon Slide amusement equipment covers an large area, suitable for large parks, amusement parks, scenic spots and so on. 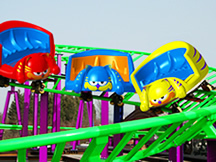 An exciting degree after a roller coaster!